The Bauer College Alumni Association (BCAA) will kick off the Spring 2013 installment of one of its signature events, a monthly networking breakfast series, on Jan. 17 with featured speaker Hallie A. Vanderhider, president and COO of Black Stone Minerals Company, L.P.
Vanderhider, who has been with Black Stone since 2003, has served in a variety of strategic positions, including stints as executive vice president and chief financial officer. A privately-owned Delaware company located in Houston, Texas, Black Stone Minerals Company, L.P. is one of the largest private fee mineral and royalty owners in the United States. Each fall and spring, BCAA holds monthly breakfast events that allow alumni to network and hear from some of the city’s top executives. The breakfasts are held on the third Thursday of each month at Houston City Club from 7 to 8:30 a.m. For more information on BCAA events, click here. To register for the Jan. 17 BCAA breakfast featuring Hallie A. Vanderhider, click here. 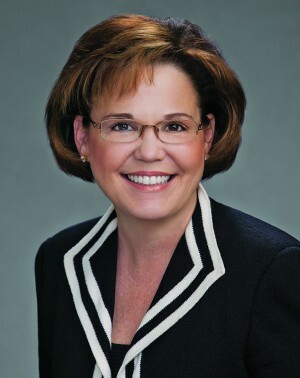 Hallie A. Vanderhider is president and chief operating officer of Black Stone Minerals Company, L.P., the country’s largest private oil and gas fee mineral owner. Prior to becoming president in 2007, she served as executive vice president and chief financial officer. Before joining Black Stone in 2003, Vanderhider served for 10 years as senior vice president and chief financial officer of EnCap Investments L.P., one of the leading private equity firms for oil and gas in Houston. Before joining EnCap, Vanderhider served in a variety of financial roles, most recently as chief accounting officer of Damson Oil Corp., a publicly traded oil and gas exploration and production company, and manager of multiple public and private oil and gas limited partnerships over a 10 year tenure. She is serving her second term as president of the board of the Houston Producers’ Forum. Vanderhider is also a member of the Independent Petroleum Association of America, TIPRO, Houston Energy Finance Group, ADAM Energy Forum (Houston and Dallas), AICPA, Texas Society of CPA, and is a director of the Texas Business Hall of Fame Foundation. Vanderhider received a BBA in Accounting and Finance from the University of Texas at Austin and is a Certified Public Accountant.